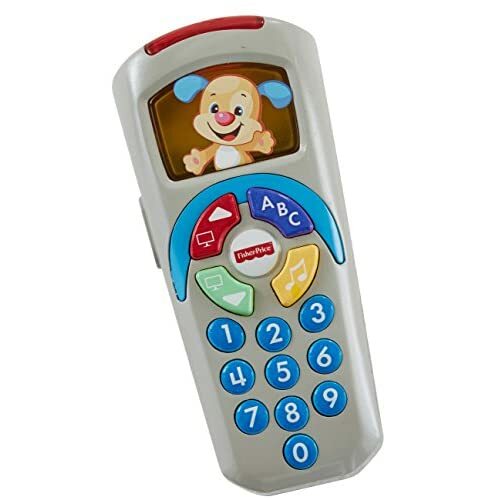 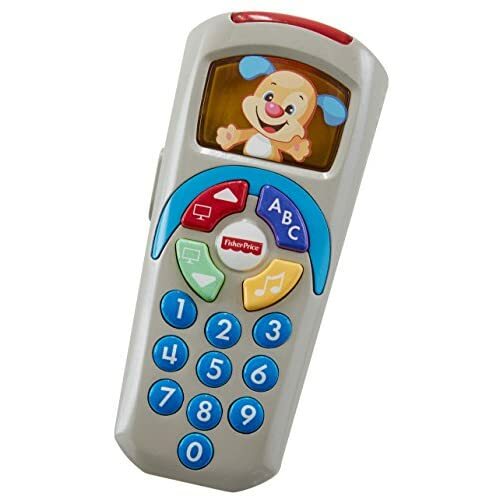 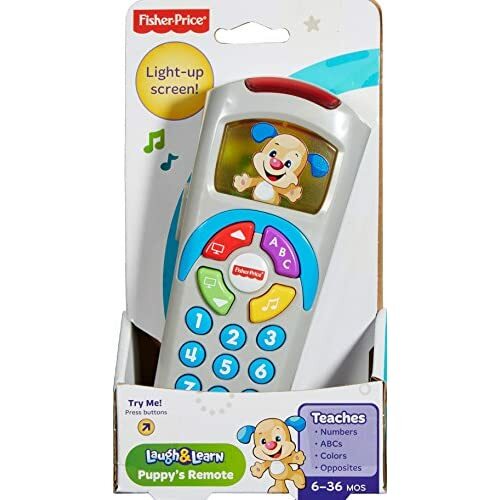 Loaded with buttons, songs & learning fun, this interactive Laugh & Learn toy remote control will really “click” with baby. 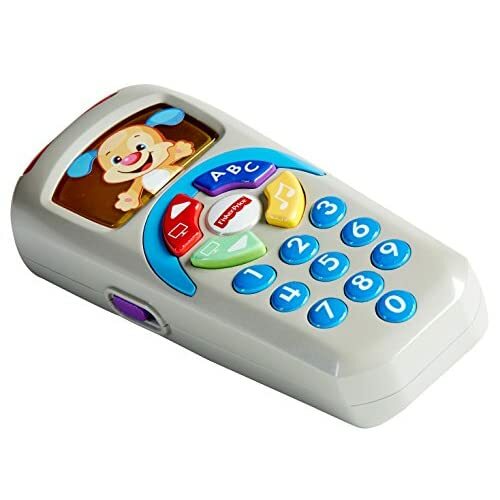 For starters, it looks like a TV remote to make the pretend play more real. 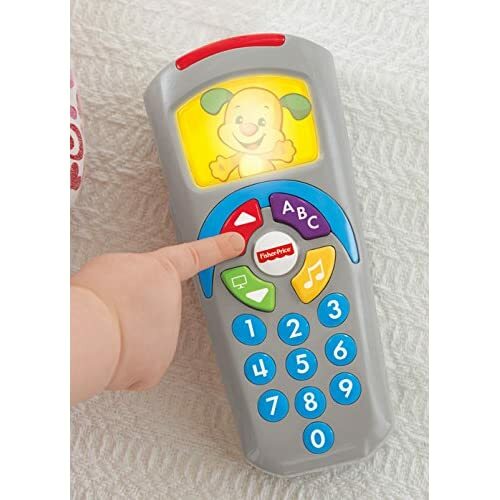 And when little ones press the buttons, the screen lights up and they’re rewarded with songs & phrases that teach numbers, ABCs, opposites, colors and more. 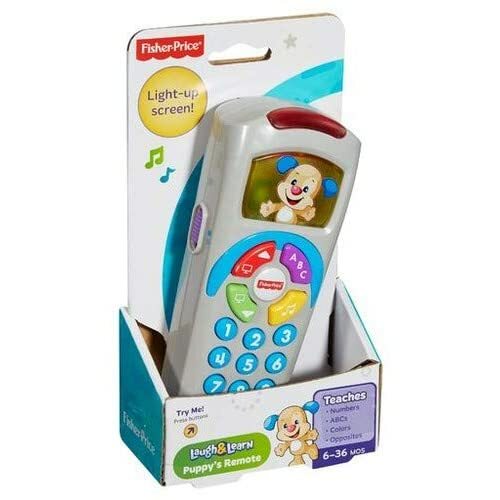 What a great way to give fine motor skills a push in the right direction!